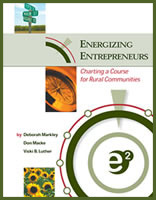 In our first book, Energizing Entrepreneurs: Charting a Course for Rural Communities, we made the case for entrepreneurship development, and provided a roadmap for communities interested in getting started. Download your copy. Since then, we've honed our approach, and built out our tools and resources to help communities of all sizes create a supportive ecosystem for their entrepreneurs to increase impact. 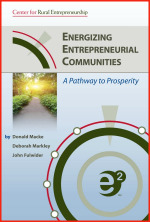 Our second e2 book, Energizing Entrepreneurial Communities: A Pathway to Prosperity, highlights this work. You'll learn why you must take control of your community's economic future and get concrete ideas for doing it. 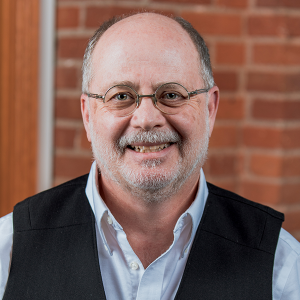 You'll also find alternatives to conventional economic development approaches. Economic developers experienced in entrepreneurship will find a systems approach to building community prosperity. Download your copy now!